Zimbabwean President Robert Mugabe has sacked the country's Vice-President Emmerson Mnangagwa, the country's information minister says. The Information Minister Mr. Simon Khaya Moyo said: "He (Mnangagwa) displayed traits of disloyalty...his conduct in discharge of his duties is inconsistent with the responsibilities"
This comes after the Wife of the President Mrs. Grace Mugabe called on her husband this past weekend to remove the Vice-President in a political move many believe is geared towards making her the heir to the Presidency of the country after her husband. She was quoted as saying: "Trouble causers in the party must go before the next congress. He (Mnangagwa) must be dropped before we meet at congress in order for us to have unity in the party." Already, the ZANU PF youth wing has called for Mrs. Grace Mugabe to be appointed the new Vice-President. 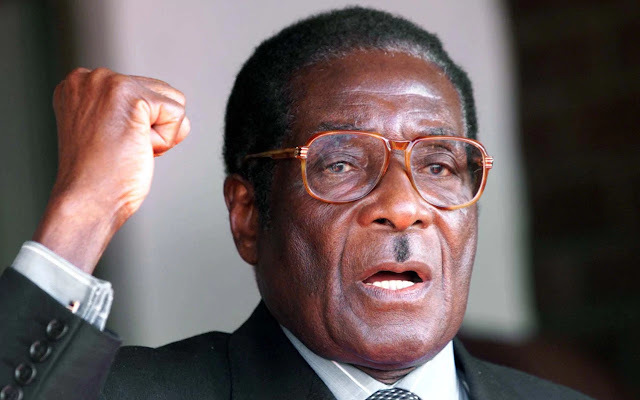 Robert Mugabe, who at the age of 93, is the oldest current serving President in the world has been ruling Zimbabwe since 1987.